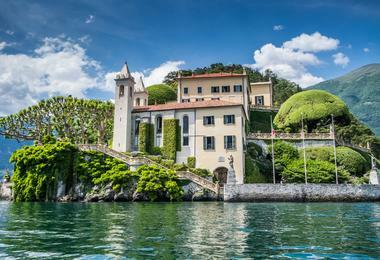 The beautiful banks of Italy's northern lakes are lined with elegant villas, many of which boast elaborate gardens. 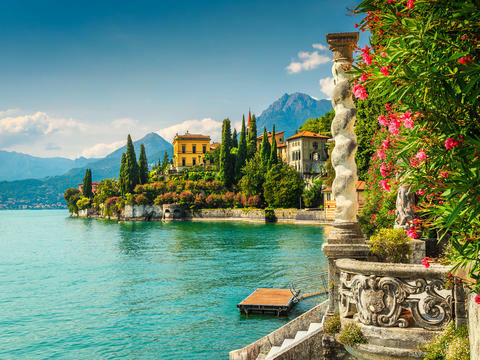 On this superb eight-day tour of Lake Como and Lake Maggiore, you will be joined for two days by horticultural expert Andy Sturgeon. 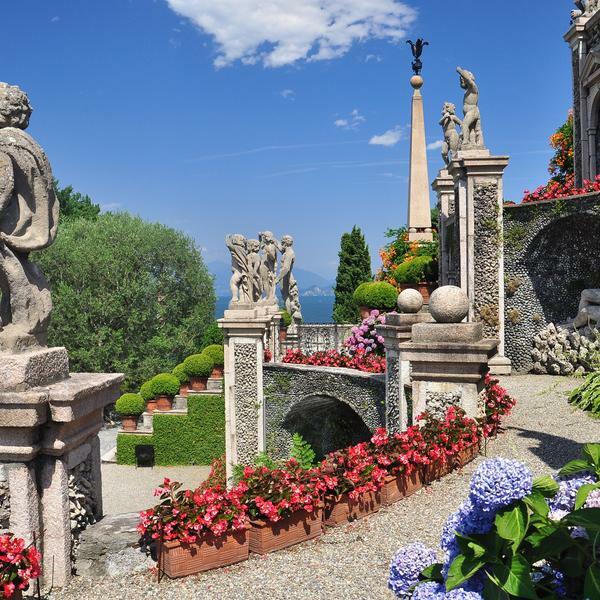 Gardening presenter and designer Andy will be with you as you explore the famous Borromean islands and enjoy a stunning view of Lake Maggiore from the gardens of Park Villa Pallavicino. 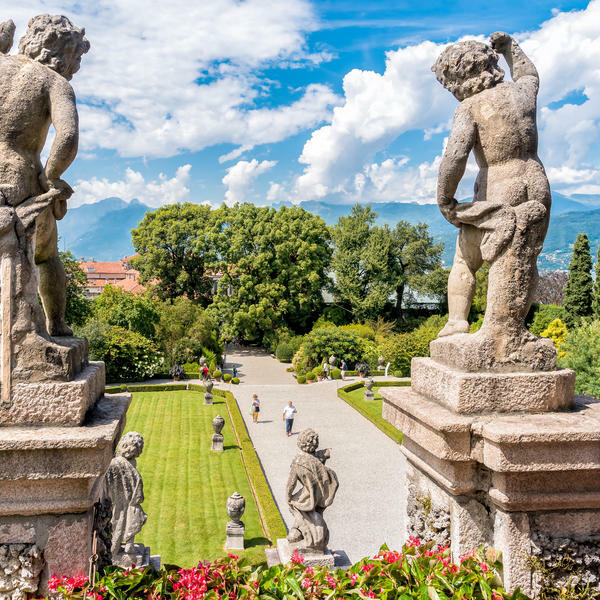 You will also get exclusive access to the private garden of the President of the Italian Camellia Society, which is usually closed to the public. 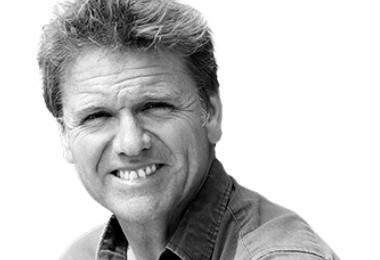 An expert in his field, Andy Strugeon has one multiple awards for his garden design, with seven Chelsea Flower Show gold medals under his belt. 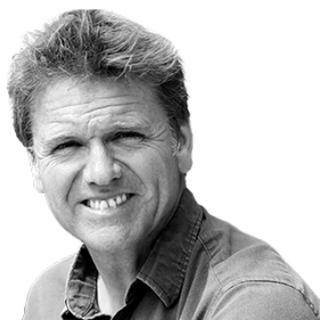 He has written several well-regarded gardening books and has presented a number of television programmes- as well as appearing on the well-known Gardeners' World. Depart from London to Milan. 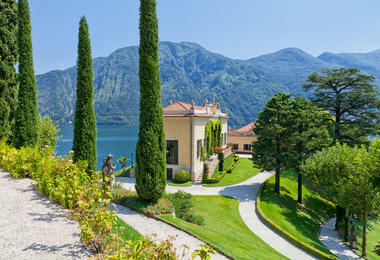 On arrival you will transfer by comfortable coach to Como and arrive at your hotel. A welcome drink will be served in the evening followed by dinner. 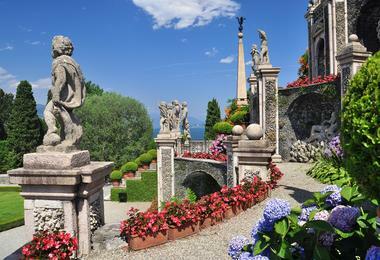 After breakfast, you will visit the private garden of the President of the Italian Camellia Society. 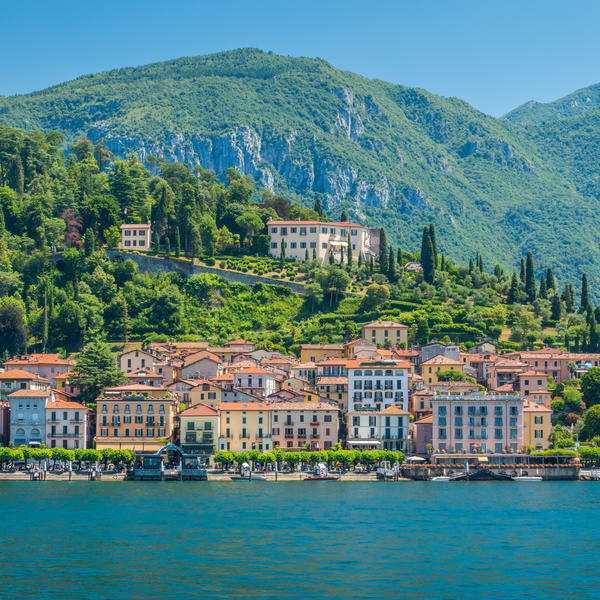 The site is above the shores of Lake Maggiore, surrounded by mountains and facing the south east. Since the 1950s the garden has housed a remarkable collection of camellias, developed with great passion by Antonio Sevesi, the founder of the Italian Society of Camellias, and Andrea Corneo, the current President. The camellia collection includes 500 plants and 318 cultivars. 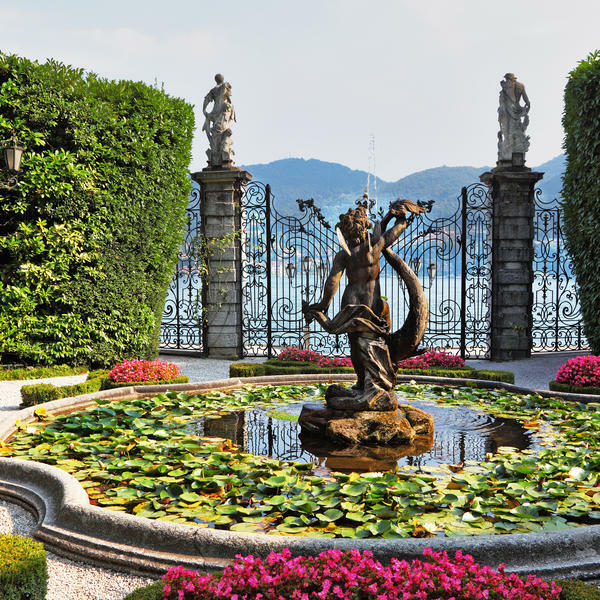 Today you will be joined by celebrity gardener Andy Sturgeon as you spend a full day exploring the famous Borromean islands. 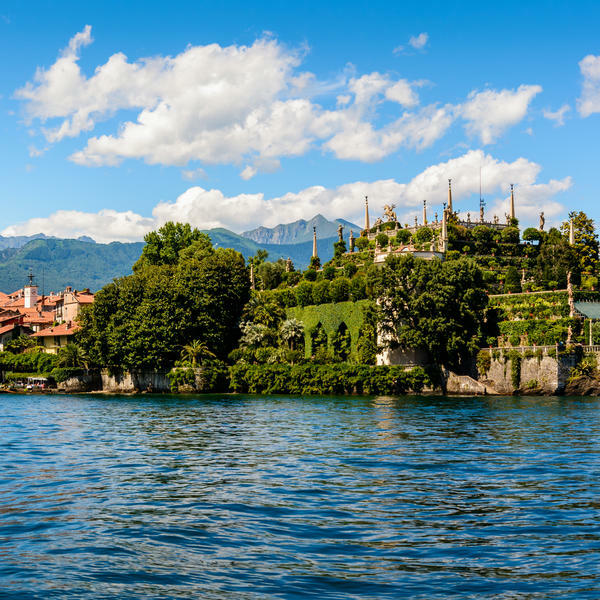 Cruise from Stresa to Isola Bella to see the vast Baroque palace built from the island's rock and surrounded by terraced gardens inspired by the 'Hanging Gardens of Babylon'. Discover the magnificent 17th-century palace and its exquisite grounds. 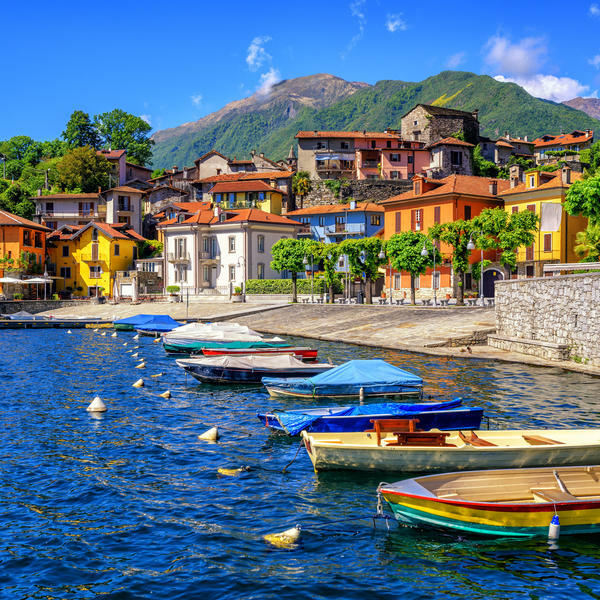 Continue to Isola Pescatori, the 'island of fishermen', with its narrow cobbled streets and pretty harbour, before visiting Isola Madre. Home to Renaissance gardens where tropical and Mediterranean plants, citrus fruits, crape myrtle, hibiscus, bougainvillea, protea and agaves all flourish, it is a highlight of the trip. 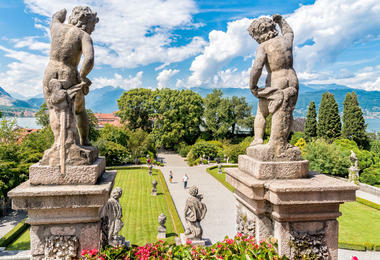 Andy Sturgeon will join you on a visit to the gardens of Villa Taranto. 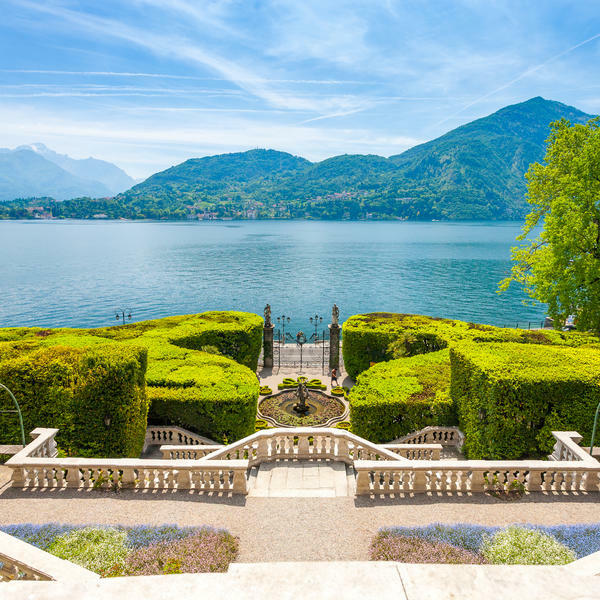 Flourishing with rare botanical examples, the early 20th-century concept of a garden as both an aesthetic experience and a scientific adventure reaches its zenith in the grounds of this beautiful villa. 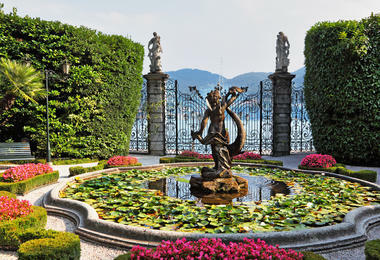 Afterwards, visit the Park Villa Pallavicino, explore the botanical trails and enjoy the stunning view of Lake Maggiore. 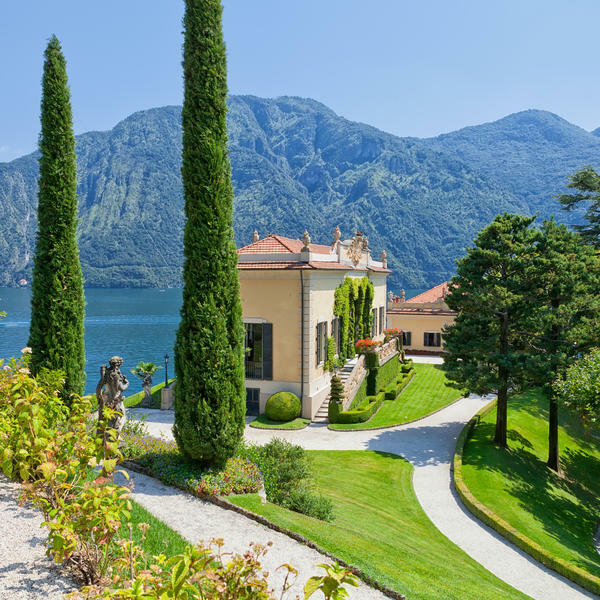 Visit Villa Cicogna Mozzoni for a private guided tour with the owner, a descendent of its founder, Ascanio Mozzoni. The walled garden is a typical example of a formal Italian garden with box hedges, water basins, fountains and a grotto. 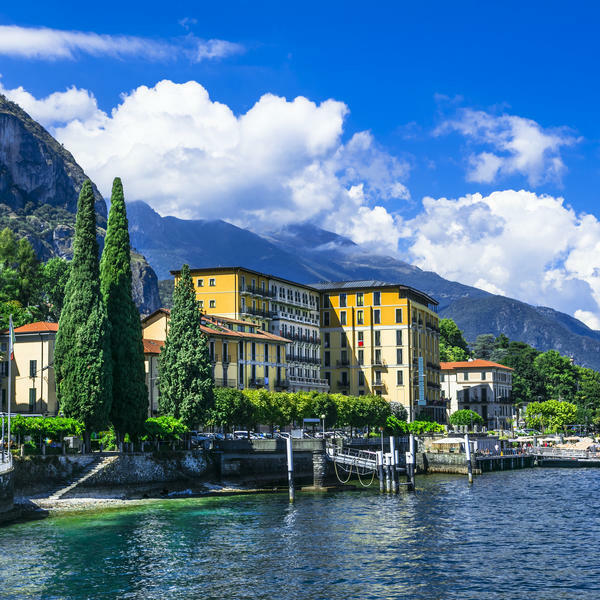 Continue to Como and check into our lakeside hotel, the four-star Barchetta Excelsior, situated in the heart of Como. 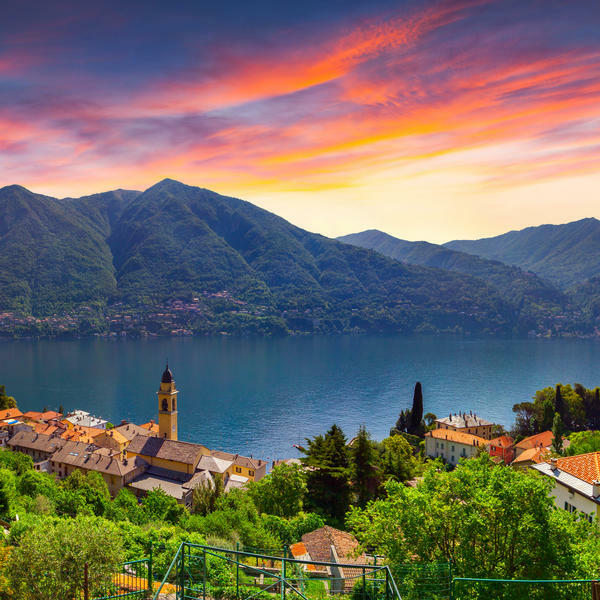 Enjoy a free day to shop and sightsee at leisure in Como. 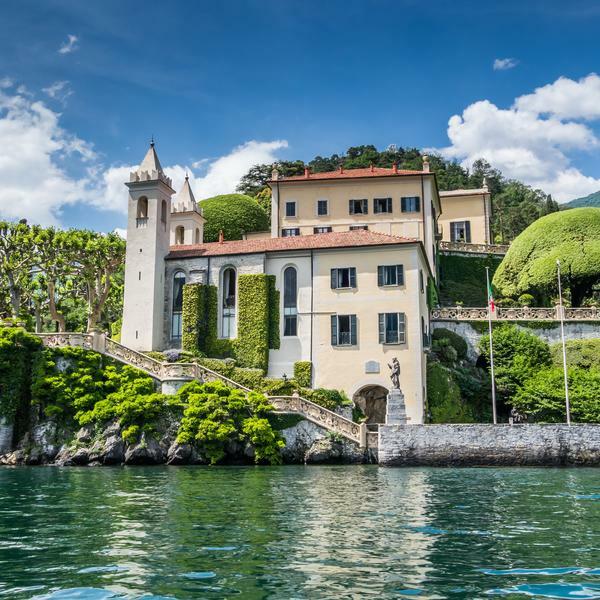 Visit Tremezzo and the elegant 18th-century Villa Carlotta. Explore the formal and more relaxed English-style gardens and see twining climbers, jasmine and roses, tree ferns, palms, eucalyptus, Japanese maples and cacti. The house itself has its own story to tell, full of neo-classical art treasures, including paintings by Hayez and sculptures by Canova. 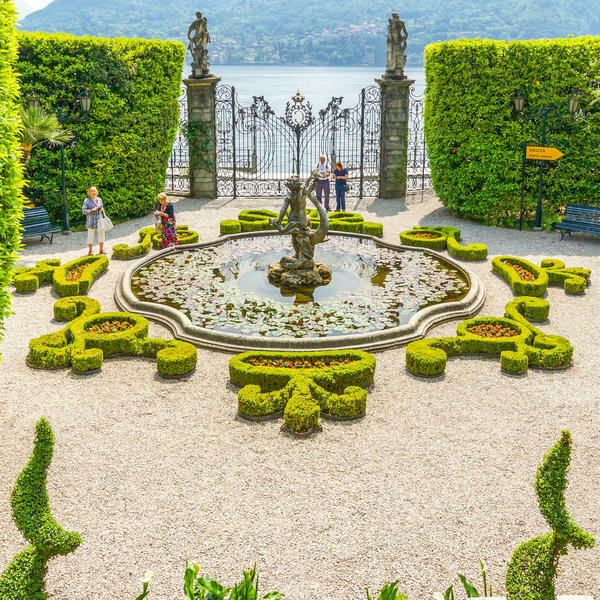 Afterwards, visit Villa Balbianello, the garden of which is maintained to an exceptionally high standard by the Italian National Trust.